Europe during World War II was a dangerous place. German troops were forcing their way into many countries, taking over and dominating the people everywhere they went. A daring number of men and women living in these controlled lands banded together to form resistance armies to take back their freedom. Boy Ecury was one of these brave people who became heroes for putting their lives at risk to fight the Axis power. Segundo Jorge Adelberto Ecury, later to be known as Boy, was born in Oranjestad, Aruba on April 23, 1922. He was the seventh of thirteen children born to affluent, Catholic parents. Boy's parents believed he was too rebellious and strong spirited to stay in Oranjestad and sent him and his brother Nicky away to school in 1937. After the other schools rejected the boys because they were black, they ended up at the Brothers of St. Louis in Oudenbosch, Holland. Boy remained in Holland after graduation, and was in Rotterdam in May of 1940 when it was bombed by the invading German troops. Around this time he met another student from the Antilles, Luis de Lannoy, who soon proved to be a great friend. Luis was a part of a student resistance group, and was the one to introduce Boy into the fight for freedom. Boy and his new comrades in battle would harass and hinder the Nazi's in any way they could, like by setting their trucks on fire. When Tilburg became too risky for someone as dark-skinned as Boy, he left to join the Oisterwijk Resistance Council. He retained contact with Luis by sending letters whenever he was able. With his fellow rebels, Boy continued to sabotage the Axis army in any way they could. They would rip up railroad tracks, and make bombs to blow up the German vehicles and equipment. The men of the resistance council would also aid and protect any allie pilots and soldiers they encountered, along with victims of the Nazi's. Early in 1944, Boy received news that his old friend Luis had been betrayed and was now imprisoned in Utrecht. Boy attempted to stage a breakout to rescue his friend from the torture and endless interrogation. He was unsuccessful, but at least managed to avoid capture himself. Luis was able to escape in September of that year on Mad Tuesday during the chaos. After his return to Oisterwijk, it was clear that Boy's swarthy appearance was drawing too much attention, so he returned to Tilburg in October of 1944 as the allie army approached. Later that month the allied forces fought their way into Oisterwijk, regaining control of the city. Boy could have joined his companions in liberation, but decided he would rather stay in the occupied territories to aid the struggle for freedom. While moving around the area, Boy met up with commando resistance crew Knokploegen, who were wreaking havoc on the Nazis in The Hague. He joined their ranks, taking on dangerous missions such as an assassination attempt on a prominent member of the Dutch National Socialist Movement. The resistance groups were taking more risks and gaining more power as the war began to draw near it's end. The events on November 5, 1944 marked the end of Boy, who was not destined to see the war finish. He was captured because of the betrayal by former friend Kees Bitter. The Germans arrested Boy as he was leaving mass, and sent him to the Scheveningan prison. The guards there questioned him about the Knokploegen and other resistance parties, but Boy loyally stayed silent. Because of his refusal to cooperate, Boy was taken out to the Waaldorpervlatke plain next to the prison and executed by firing squad a day later. Once the war ended and fighting had ceased, Boy's father Dundun set out to reclaim the body of his son. He returned home to Oranjestad and buried Boy's body with military honors in 1947. A statue was erected in Boy's honor a few years later in the same city, along with a permanent exhibit about his life in the new nearby war museum. The Dutch government also awarded Boy with a Resistance Commemorative Cross in 1984 for the way he aided the war effort. Boy's nephew Ted Schouten became very interested in the story of the revered uncle he had never met. 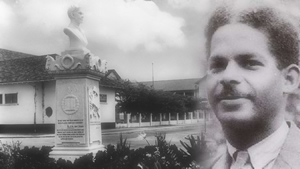 He dug into the past and came up with the information to write a book called 'Boy Ecury, an Antillean Boy in the Resistance' in 1985, which was reprinted by the Dutch government fifteen years later. Ted was also approached by renowned Dutch director Franz Weisz, who wanted to make a movie about Boy and his father's search for his body, which came out in 2003. You Likely Know These Famous Arubans. Just north of Venezuela - nestled safely away from the path of nasty hurricanes - lies the beautiful Dutch island of Aruba. Surrounded by the warm Caribbean Sea, it isn't hard to miss this seventy-five square mile dot of paradise on a map. 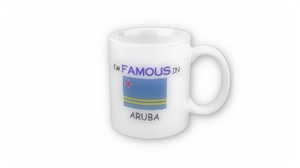 But Aruba is the home of some very famous people. Several museums dot the island. The Museo di Deporte - the Sports Museum - is one of them. Several members of popular teams are honored here. Sports stars - now, forever famous Arubans - you've likely seen at some time. Evelyn Farrell was four months into her 24th year when she participated in the Summer Olympics held in Los Angeles, 1984. Born April, 10, 1960, Evelyn was the first woman of Aruban descent to compete in the popular, 100 meter dash. She didn't advance to the finals, but managed a speedy time of 11.94 seconds during her first-heat appearance. She, however, will always be the first woman from Aruba to compete in this event. American Major League Baseball was the playground for Sidney Ponson. He began his career with the Baltimore Orioles in 1998. Sidney could hurl his pitches upwards of 95 miles per hour. Born on November 2, 1976 in Noord, Aruba, he played in the major league for over ten years. He has only recently - June 18, 2010 - retired from his passion. A three year contract for $22.5 million shows that Sidney was a valuable player. He resigned with Baltimore after the 2003 season. With only 6 losses and an impressive 14 wins in 2003, Sidney was well-worth the pay. His ten years saw Ponson play for seven different teams - returning to some after a short stint elsewhere. The Orioles, Cardinals, New York Yankees, Twins, Rangers and Kansas City Royals all housed Sidney Ponson at some time. Sidney Ponson and two other fellow Arubans, who - at one time - also played for the Baltimore Orioles - each received the "Order of Orange-Nassau" from their country. For the Dutch, this top honor - awarded as a civil and military medal - holds as high a regard as England's "Order of the British Empire." The Queen of the Netherlands created this award in 1892. August 20, 1976 saw the birth of Eugene Humphrey Kingsale. "Gene", as he is better known, hails from Solito, Aruba. From 1996 until 2003, you could watch Gene Kingsale play Major League Baseball for the Baltimore Orioles, Seattle Mariners, San Diego Padres and the Detroit Tigers. Gene managed an impressive . 251 batting average as an outfielder over his lengthy seven year MLB career. As if playing American Major League Baseball wasn't enough; Gene also found himself in The Olympics. His great speed and agile skills easily landed him in Athens, Greece for the 2004 Summer Olympic Games. There he played for The Netherlands. In 2008, he was - again - a member of The Netherlands national Olympic team which saw him travel to Beijing, China. Most of us have watched an Olympic Games event. Baseball is the "American Pastime". It's quite likely you've seen one of these famous Arubans recently. With a small population of a little more than a hundred-thousand, it's impressive that these sports idols - among the honored at Aruba's Museo di Deporte - are all from this Caribbean paradise. If you are planning to go to Aruba, the most important geographical information of Aruba you want to know is its exact coordinates, which is 12 30 North and 69 58 West. This small island can be found in the Caribbean Sea, particularly in the West Indies. It was part of the Netherlands Antilles (also known as Dutch Antilles or West Indies or Netherlands West Indies), which consisted of two clusters of islands in the Caribbean Sea that lasted until 1986. Aruba lies about 18 miles (29 km) off the Paraguana Peninsula of the South American country of Venezuela. As per official geographical information of Aruba, the total area of this island is approximately 75 sq miles (193 sq km). It is also important to note that Aruba is about 5 miles (8 km) wide and over 19 miles (30 km) long. The geographical information of Aruba that not many tourists are aware of is that its size or area is only slightly bigger than that of Washington DC. Since it is an island, it does not share any land boundaries with other countries. Although this Caribbean jewel is quite small, its coastline is about 68.5 kilometers. It is also worth mentioning that there are no rivers in the entire island. Another thing that you might want to know about Aruba is its capital, which is Oranjestad (based from the Dutch House of Orange). People in Europe and the US are usually surprised that the terrain in Aruba is mostly flat with just a few hills. Although Aruba is not blessed with rainforests and jungles that are common in South America, the local government is trying its best to maintain lush gardens and cultivated environments in the area. Geographical information of Aruba that intrigues many is the fact that the highest point of this island is just 188 m, located in Mount Jamanota. The main attraction of Aruba is its white sandy beaches, while the percentage of arable land in the area is only 10.53%. Aruba is not really a vegetable or livestock exporting country. However, this small island used to be the leading exporter of aloe vera in the world during the late 1900s and early 2000s. For tourists, geographical information of Aruba that is very helpful is the fact that storms do not frequent this small island even if it lies in the hurricane belt of the Caribbean. Majority of the time, you can expect sunny weather in this part of the Netherlands Antilles. The history of Aruba dates back to around 1,000 AD when the Arawak tribe of the Caquetios Indians fled to Aruba from Venezuela to escape the brutality by the Carib Indians. Many Caquetios remained in the island, while others ventured to South America instead going to the other Caribbean islands mainly due to the strong currents and difficulty of crossing the nearby islands using canoes. However, in 1499, Spanish explorer Alonso de Ojeda arrived in Aruba and founded a colony on the island. Fortunately, the Caquetios did not experience the fate of the Carib Indians living in the other islands of Caribbean in the hands of the Europeans. Although many were maltreated and sent to Hispaniola to become slaves, they were not exterminated and totally annihilated like the Caribs. 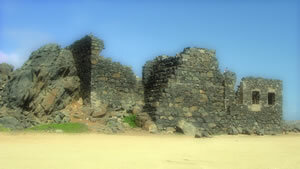 The early history of Aruba was fraught with wars. For over 80 years, the Dutch and the Spanish conquistadors fought each other to gain control over this small but very beautiful island. In 1636, the Dutch won the war and took control of the whole island. During the Dutch occupation, the remaining Caquetios lived freely. From 1805 to 1816, however, the British took control of Aruba. In 1816, Britain had seceded control of the island back to the Dutch. During the course of the history of Aruba, conquistadors from various European countries looked for gold. However, the precious metal was only discovered in 1824 during the Dutch colonization. Considerable amounts of gold were mined and became the main export of the country. In 1916, gold mines were forced to close down because the supply of the precious metal became quite scarce. Fortunately, another valuable commodity was discovered abundant in the island. Black gold was discovered and brought prosperity to this small country. In 1928, the first refinery controlled by Royal Dutch Shell was established and the history of Aruba was forever changed. The island experienced a surge in prosperity because of the substantial amount of oil pumped from its shores. However, in 1985, refineries in the country were forced to shut down because of global oversupply of petroleum commodities. Because of this, the people of this small Caribbean island decided to focus on tourism. 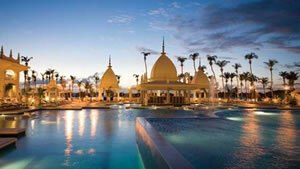 Even with the reopening of oil refineries in 1991, Aruba still concentrated on the tourism industry. One of the things that are not clear in the history of Aruba was how the small island got its name. Some people say that Aruba came from "oro huba", a Spanish phrase that means "there was gold". 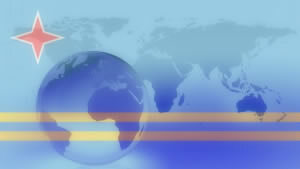 Others think that Aruba came from "oruba", meaning strategic or well placed.